All-in-one Desk For Any Space! One of the most common problems to overcome in planning a new space or redesigning an old space is how to fit everything needed into the limited space available. Often times training rooms and classrooms need to be used for multiple purposes including having computers available for projects and courses as well as desk space for projects, writing, and tests. In response to this need, Spectrum developed an easy, all-in-one solution, the Flex InSight Desk. 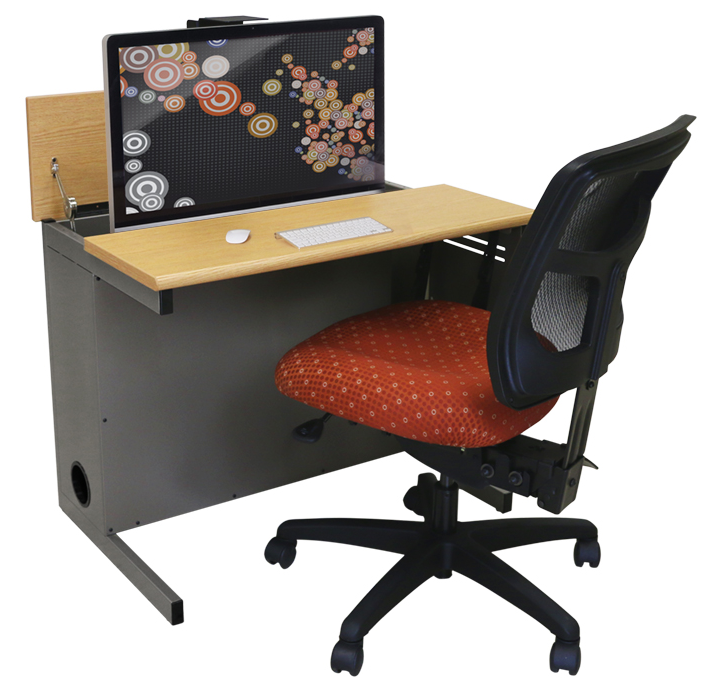 This desk allows for a seamless transition from an ordinary desk to a computer desk just by flipping open the top, providing quick and easy access to the monitor, keyboard, and mouse. Recreate your space with the Flex Insight Desk – request a quote today! Don’t forget to work with your Territory Manager for product demonstrations and room layouts!